Learn how to use Realm, a popular cross-platform mobile database that is an alternative to Core Data. Update note: This tutorial was updated for iOS 9 and Swift 2.2 by Bradley Johnson. Original tutorial was by team member Bill Kastanakis. 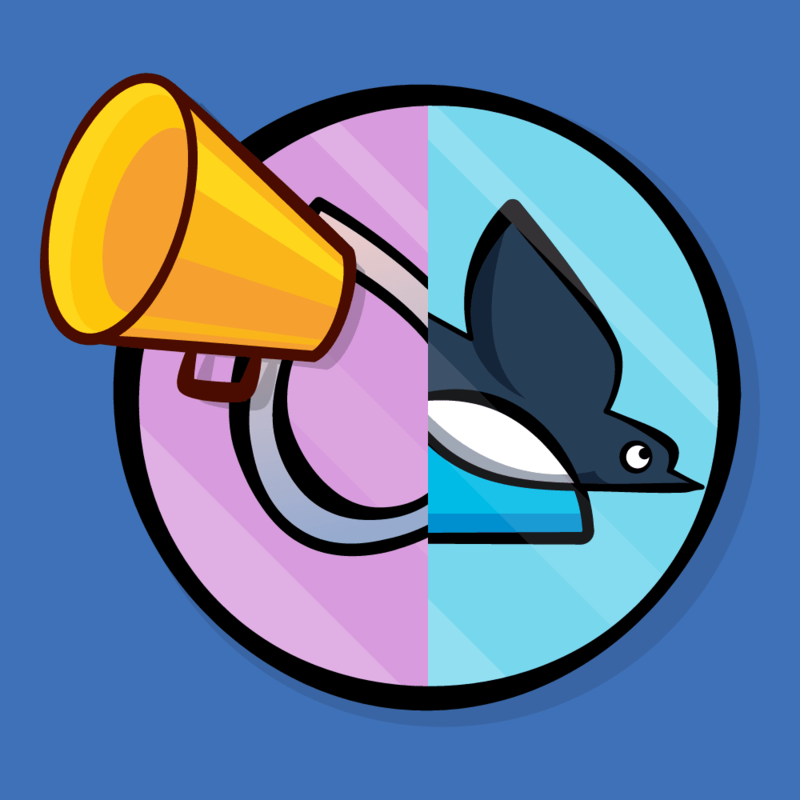 Realm is a cross-platform mobile database solution designed specifically for mobile applications. It’s fast, lightweight, and extremely simple to integrate in your project. Most common functions such as querying the database consist of a single line of code! Unlike wrappers around Core Data such as MagicalRecord, Realm does not rely on Core Data or even a SQLite backend. The Realm developers claim that their proprietary data storage solution is even faster than SQLite and Core Data. Working with Realm results in more concise code — which makes it easier to write and read your code. This Realm tutorial will introduce you to the basic features of Realm on iOS. You’ll learn how to link in the Realm framework, create models, perform queries, and update records. Here’s the scenario: you’ve accepted a position as an intern in the National Park Service and your job is to document the species found in the biggest national parks in the United States. You need an assistant to keep notes and document your findings, but the agency doesn’t have an assistant to spare, nor the budget to hire a new one. Instead, you’ll create a virtual assistant for yourself — an app named “Agents Partner”. Open the starter project in Xcode. MapKit is already set up in your project. 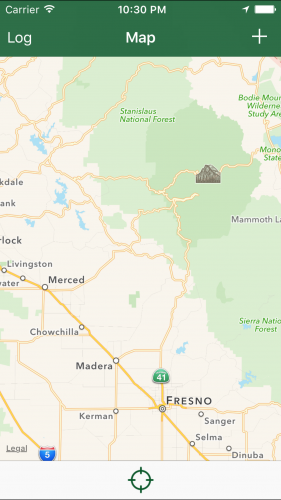 Right now your app only contains instances of UITableView and MKMapView to provide the map functionality. 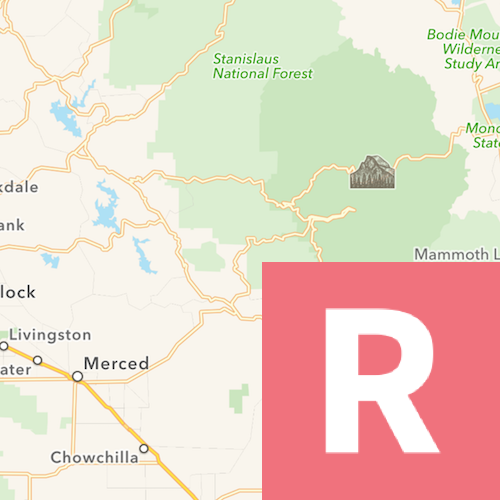 Note: If you’re interested in learning more about MapKit, check out our MapKit: Getting Started tutorial, which provides an in-depth look at how to work with MapKit. Note:This tutorial was written against Realm 0.98.0. One great way to install Realm is with CocoaPods. CocoaPods is a dependency manager for Swift and Objective-C Cocoa projects, and it has thousands of libraries you can download and use in your own projects. Note:If you are not familiar with CocoaPods or need help installing it, check out our very own CocoaPods tutorial. Save and close your Podfile. Back in the command line, in the root directory of your project (the same location your Podfile is in), run the command pod install. This tells CocoaPods to scan through your Podfile and install any pods you have listed in your Podfile. Pretty neat! It may take several minutes for Realm to install, keep an eye on your terminal and once it’s complete you will see a line near the bottom that begins with Pod installation complete!. Open the root directory of the starter project in finder, and you will now see some folders that CocoaPods placed there, in addition to Agents Partner.xcworkspace. If you currently have your Agents Partner starter project open in Xcode, close it now, and then double click to open the .xcworkspace file. This is now the file you will open when you want to work on this project. If you open the regular project file by mistake, Xcode won’t properly be able to find any of the dependencies you installed with CocoaPods, so you must use the .xcworkspace file instead. Expand the Agents Partner project in the Project navigator, and then the group/folder also named Agents Partner to reveal the files you will be working with. Realm also provides a nice utility that you’ll want to install from the App Store to make your life a little easier. The Realm Browser lets you read and edit Realm databases. It’s really useful while developing as the Realm database format is proprietary and not easily human-readable. Download it here. Now that you’ve had an introduction to Realm, it’s time to get your feet wet and build the rest of the project for this tutorial. dynamic var specimenDescription = ""
The code above adds a few properties: name and specimenDescription store the specimen’s name and description respectively. Specific datatypes in Realm, such as strings, must be initialized with a value. In this case you initialize them with an empty string. latitude and longitude store the coordinates for the specimen. Here you set the type to Double and initialize them with 0.0. Finally, created stores the creation date of the specimen. NSDate() returns the current date, so you can initialize the property with that value. Now that you’ve created your first model in Realm, how about using what you’ve learned in a small challenge? Specimens will be separated into different categories. The challenge is to create a Category model by yourself; name the file Category.swift and give your new model a single String property name. You now have a Category model which you need to relate to the Specimen model somehow. Recall the note above that stated you could create relationships between models by simply declaring a property with the appropriate model to be linked. This sets up a one-to-many relationship between Specimen and Category. This means each Specimen can belong to only one Category, but each Category may have many Specimens. You have your basic data models in place — it’s time to add some records to your database! When the user adds a new specimen, they’ll have a chance to enter the specimen name and select a category. Open CategoriesTableViewController.swift. This view controller will present the list of categories in a table view so the user can select one. You’ll need to populate this table view with some default categories. You can store these Category instances in an instance of Results. When you you need to fetch objects, you always need to define which models you want. In the code above you first create a Realm instance, and then populate categories by calling objects(_:) on it, passing in the class name of the model type you want. Note: To simplify the code required in this tutorial, you’ll be used try! when calling Realm methods that throw an error. In your own code, you should really be using try and do / catch to catch errors and handle them appropriately. You’ll want to give your user some default categories to choose from the first time the app runs. If count here is equal to 0 this means the database has no Category records, which is the case the first time you run the app. This starts a transaction on realm — you’re now ready to add some records to the database. 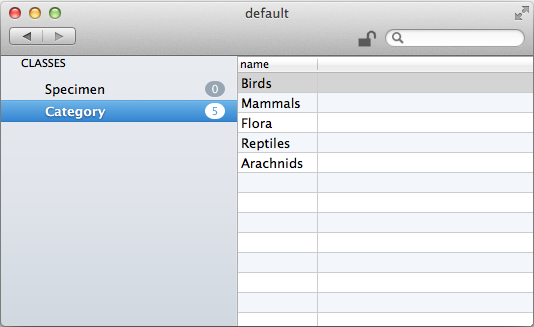 Here you create the list of default category names and then iterate through them. For each category name, you create a new instance of Category, populate name and add the object to the realm. Finally, you fetch all of the categories you just created and store them in categories. This implementation retrieves a category from categories based on the index path and then sets the cell’s text label to show the category’s name. 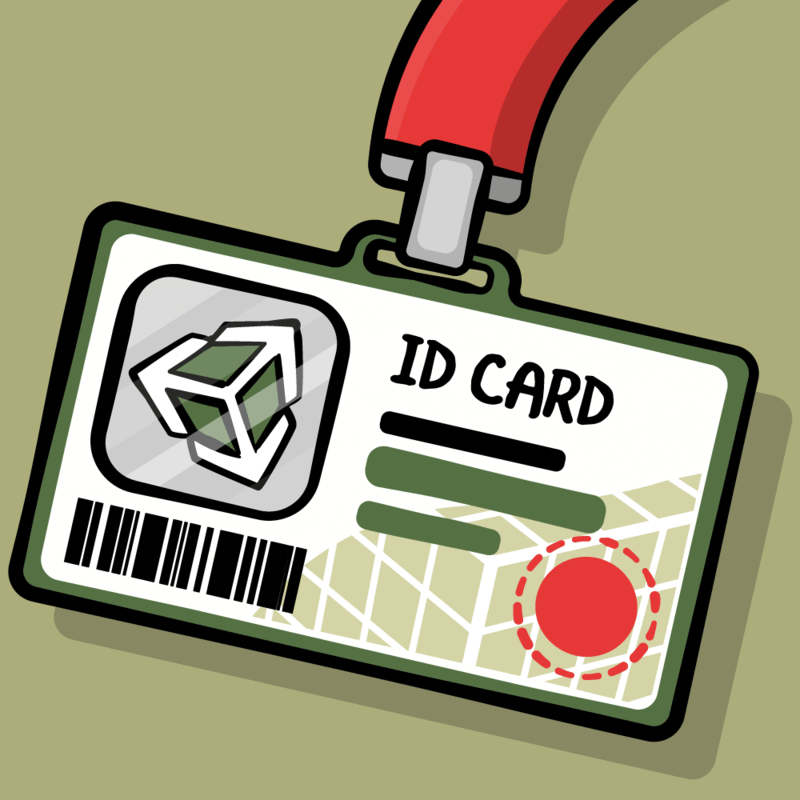 This will now store the user’s selection in the property you declared above. You can select a category, but that will only save it to the property and not anywhere else in the database. It’s all well and good to see the categories show up in the app, but it’s always reassuring to actually see the records in the database. You can do this via the Realm Browser. One thing you don’t know at this point is where your Realm database lives. There’s a nice trick you can use to find it. This line simply prints the database location to the debug console. It’s a short step to then browse the database using the Realm Browser. 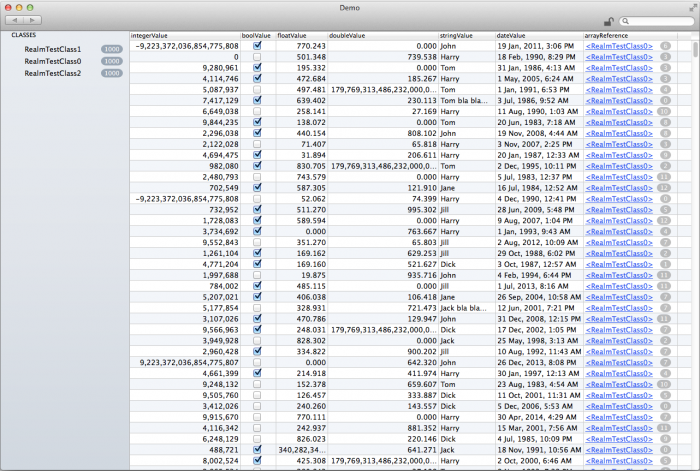 Build and run your app; you’ll see that it reports the location of the database in the Xcode console. The easiest way to go to the database location is to open Finder, press Cmd-Shift-G and paste in the path your app reported. 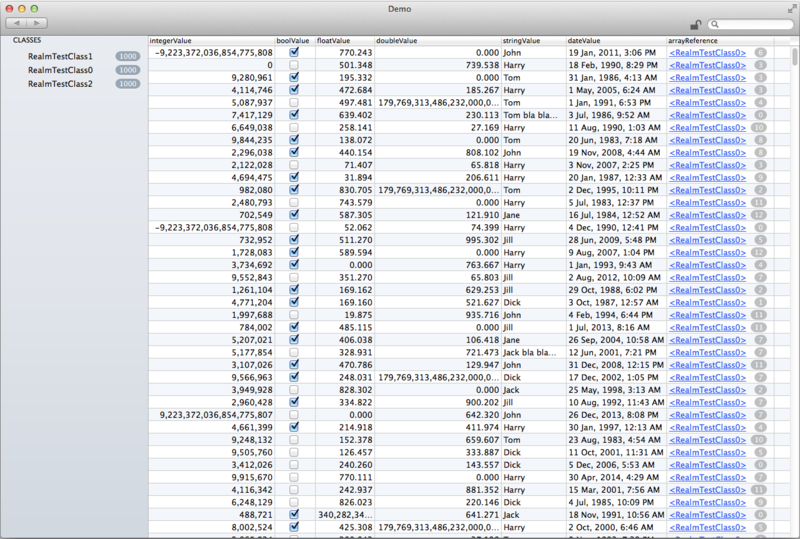 Once you open the folder in Finder, you might see one or two files. One of them will be default.realm, which is your database file. The second file, which may or may not be present, is default.realm.lock which prevents modification from other apps while the database is in use. Now you can implement the logic to set the category of a Specimen. unwindFromCategories() is called when the user selects a category from CategoriesTableViewController, which you set up in the previous step. Here, you retrieve the selected category, store it locally in selectedCategory, and then fill in the text field with the category’s name. Now that you have your categories taken care of, you can create your first Specimen! This property will store the new specimen object. You first get a Realm instance, as before. Here you start the write transaction to add your new Specimen. Next, you create a new Specimen instance. Then you assign the Specimen values. The values come from the text input fields in the user interface, the selected categories, and the coordinates from the map annotation. Then you add the new Specimen to the realm. Finally, you assign the new Specimen to your specimen property. You’ll need some sort of validator to make sure all the fields are populated correctly in your Specimen. validateFields() in AddNewEntryController exists to do just this: check for a specimen name and description. Since you’ve just added the ability to assign a category to a specimen, you’ll need to check for that field too. This verifies that all fields have been filled in and that you’ve selected a category as well. In the above code you call the method to validate the fields; only if everything is filled in do you add the new specimen. 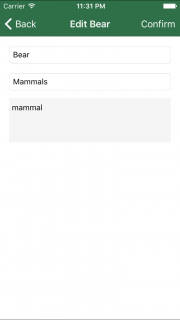 Build and run your app; tap the + button to create a new Specimen. 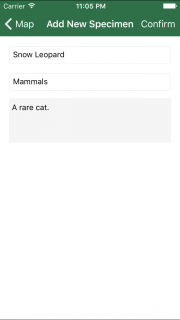 Fill in the name and description, select a Category, and tap Confirm to add your Specimen to the database. The view controller dismisses — but nothing appears to happen. What’s the deal? Ah — you’ve posted the record to your realm, but you haven’t yet populated the map with your newly discovered specimen! Now that you’ve added a specimen to the database, you want it to show up on the map. You’ll see your one lonely specimen, with all fields filled along with the latitude and longitude from the MKAnnotation. You’ll also see the link to your specimen’s category — that means your one-to-many Category relationship is working as expected. Click the Category in your Specimen record to view the Category record itself. Now you need to populate the map in the app. This will hold the Specimen for the annotation. The change here is to add an option to pass in a Specimen. The specimen will have a default value of nil which means you can omit that argument if you like. That means the rest of the app can continue to call the initializer with just the first three arguments as usual if there’s no specimen. Since you want to store a collection of specimens in this property, you simply ask a Realm instance for all objects of type Specimen. First, you clear out all the existing annotations on the map to start fresh. Next, you refresh your specimens property. You then loop through specimens and create a SpecimenAnnotation with the coordinates of the specimen, as well as its name and category. Finally, you add each specimenAnnotation to the MKMapView. 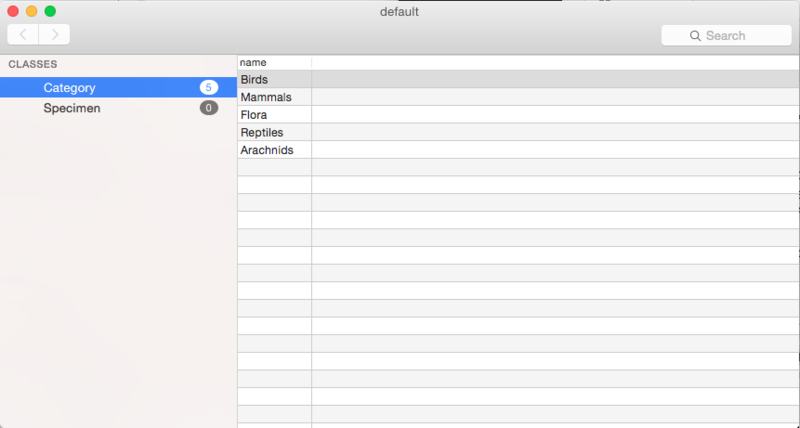 That will ensure the map will be populated with the specimens whenever the map view controller loads. This method is called once you’ve returned from AddNewEntryController and there’s a new specimen to add to the map. 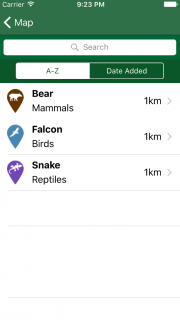 When you add a new specimen to the map, it gets the generic annotation icon; now that you have a category, you want to change that icon to the category-specific icon. 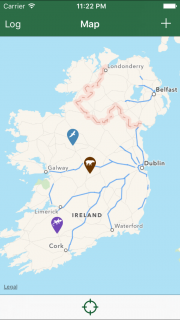 Here you simply remove the last annotation added to the map (the generic-looking one) and replace it with an annotation that shows the name and category of the specimen. You might have noticed the Log button in the top-left of the map view. In addition to the map, the app also has a text-based table view listing of all annotations called the Log View. You will now populate this table view with some data. In the code above, you replace the placeholder array with a Results which will hold Specimens just as you did in MapViewController. They will be sorted by name. 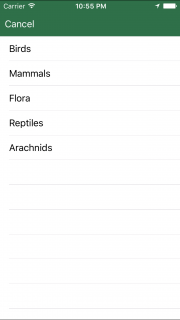 This method will now populate the cell with the specimen’s name and category..
You really want your app to rock, so you’ll need a handy search feature. Your starter project contains an instance of UISearchController — you’ll just need to add a few modifications specific to your app in order to make it work with Realm. First you create a predicate which searches for names that start with searchString. The [c] that follows BEGINSWITH indicates a case insensitive search. If none of the buttons are selected, don’t sort the results — just take them in the order they’re returned from the database. The above code checks whether the searchController is active; if so, it retrieves the specimen from searchResults; if not, then it retrieves the specimen from specimens instead. Finally you’ll need to add a function to sort the returned results when the user taps a button in the scope bar. In the code above you check which scope button is pressed — A-Z, or Date Added — and call arraySortedByProperty(_:ascending:) accordingly. By default, the list will sort by name. Build and run your app; try a few different searches and see what you get for results! You’ve covered the addition of records, but what about when you want to update them? 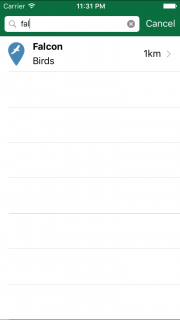 If you tap in a cell in LogViewController you will segue to the AddNewEntryViewController but with the fields empty. Of course the first step to letting the user edit the fields is to show the existing data! This method will fill in the user interface with the specimen data. Remember, AddNewEntryViewController has up to this point only been used for new specimens, so those fields have always started out empty. The above code sets the navigation bar title to say whether the user is adding a new specimen or updating an existing one. If it’s an existing specimen, you also call your helper method to fill in the fields. As usual, the method begins with getting a Realm instance and then the rest is wrapped inside a write() transaction. Inside the transaction, you simply update the three data fields. This will call your helper method to update the data when appropriate. You need to pass the selected specimen to the AddNewEntryController instance. The complication with the if / else is because getting the selected specimen is slightly different depending on whether the user is looking at search results or not. 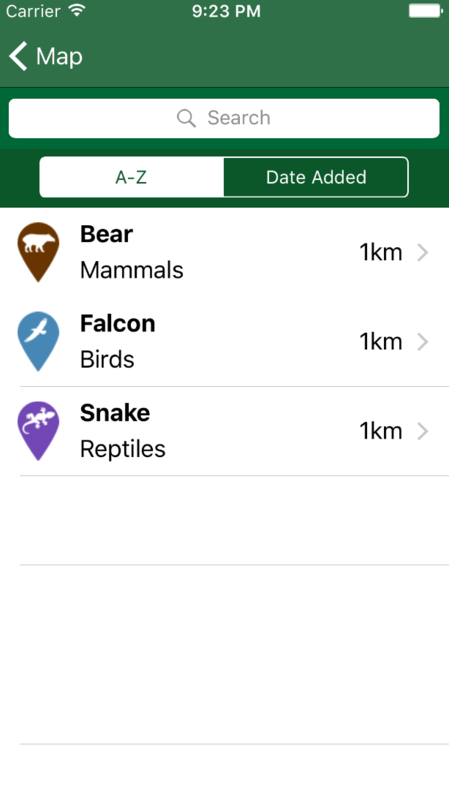 Build and run your app; open the Log view and tap on an existing Specimen. You should see the details with all the fields filled in, ready for editing. In this Realm tutorial you’ve learned how to create, update, delete and fetch records from a Realm database, how to use predicates, and sort the results by their properties. There are many other features of Realm that weren’t touched on in this tutorial, like migrations and concurrency. You can learn about those topics and much more in the official documentation, which are very good. If you have any comments or questions on this tutorial or Realm in general, please join the discussion below!